An easy underskirt for adding volume to your favourite evening wear. This underskirt/petticoat has a wide A-line silhouette, with two layers of netting. 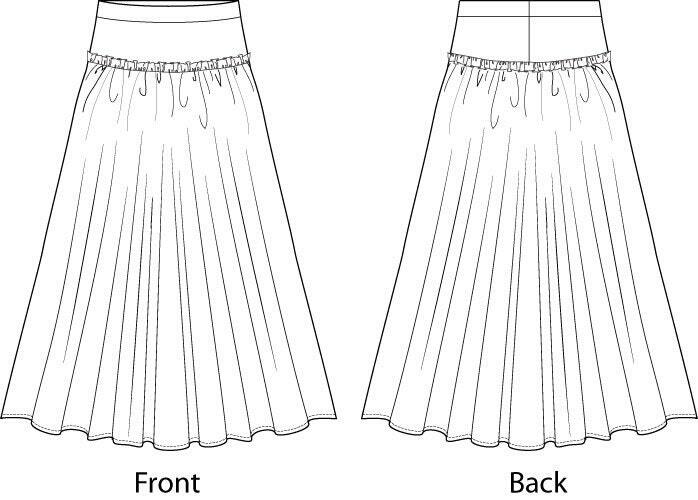 At the bottom of the skirt is a short layer of netting to add extra volume at the hem, and a longer top layer which adds volume and softens the overall shape. 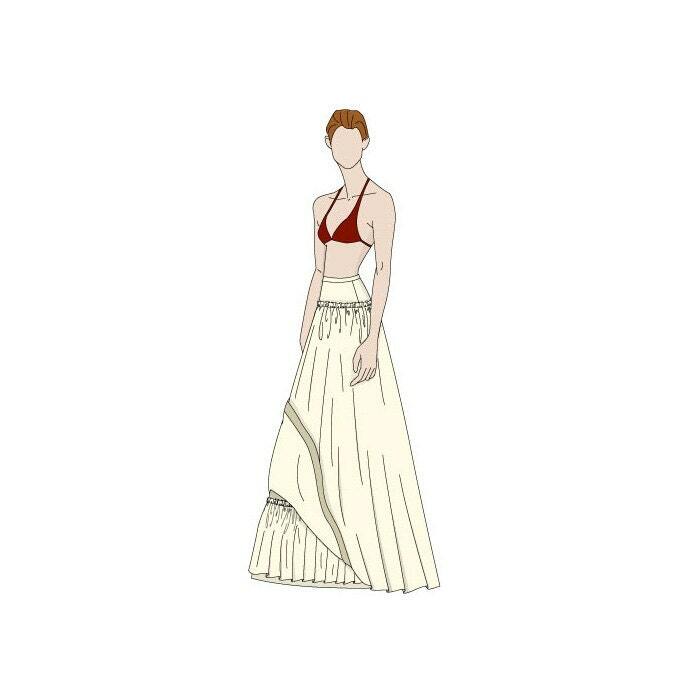 Use this underskirt with Bridal and Evening Wear for very full A-line shapes. It can also be used in addition to sewn on underskirts that are already featured on the dress to add even greater volume. Although this is an easy make, you will need some basic sewing knowledge and be able to understand pattern symbols, if in any doubt, please refer to a good sewing book.